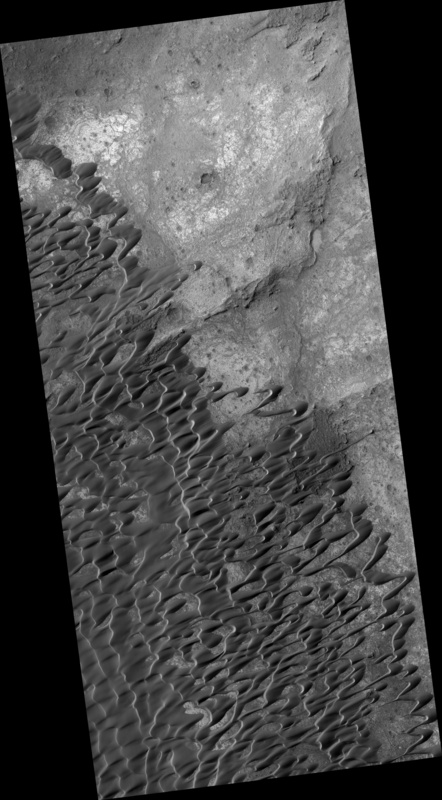 Many HiRISE targets are imaged twice, close together in time, with each image having a different viewing angle. From this, we are able to make digital elevation models (DEMs) with precisions of tens of centimeters. Doing this for dunes can be particularly challenging, as they commonly migrate. However, if the images are close enough together in time, or are inactive, a good model can be made. This is the case here, where an elevation model was produced of the Nili Patera dune field. These dunes are active and, by computing the height of the moving dunes using this DEM, researchers have determined the sand flux (sand volume per length per time) and find that it is similar to that seen for dunes in Antarctica. The research also finds that the dunes are moving as coherent masses of mobile sand. 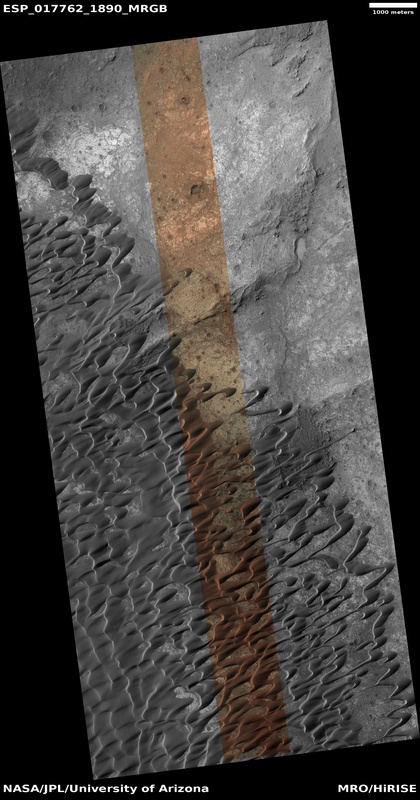 This work has important implications, as it shows that wind processes on Mars can transport considerable volumes of sand, which not only contributes to dune migration, but also abrasion (sand blasting) of the surface. This is a stereo pair with ESP_018039_1890.